Isla Mujeres is arguably the most beautiful of Quintana Roo's islands, boasting turquoise waters, white sand beaches, and year round sun. The island was once sacred to the Mayan God of childbirth and medicine and its name actually means "Island of Women". It is the epitome of serenity as you won't find any traffic here. 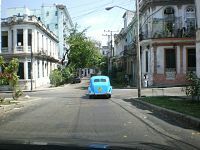 The roughly 16,000 residents make their way around the island via golf carts and moped scooters. An added bonus? Though it is only about thirteen miles north of spring break haven Cancun, this island is well off of the beaten tourist track. You won't have to battle hoards of tourists for a prime slice of sand at the beach. Snorkel, scuba dive, swim, or just lounge in the sand---Isla Mujeres is truly a slice of paradise. 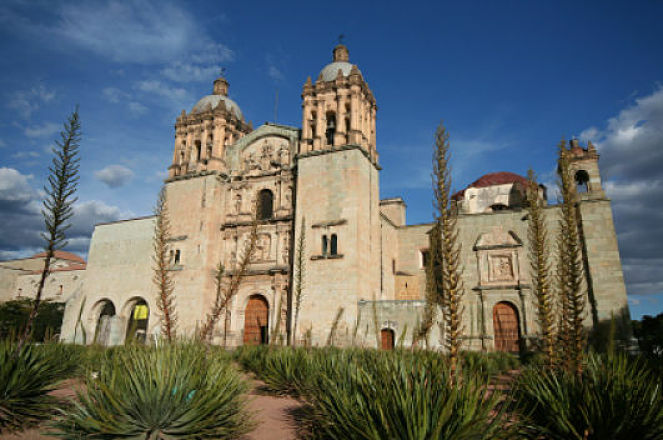 Oaxaca is one of Mexico's most intriguing cities, artistic, historic, and utterly captivating. This UNESCO World Heritage Site boasts amazing architecture; be sure to check out Templo de Santa Domingo, constructed in the early 16th century, and the Palacio de Gobierno, a 19th century maze of daunting marble columns and impressive murals. Today Oaxaca is a cultural hotspot, home to thriving indigenous artistic and cultural traditions. Be sure to check out one of the bustling, traditional markets, like the amazing Central de Abastos. And when in Oaxaca keep in mind that it isn't jus the city that is stunningly beautiful, it is also the surrounding countryside. Situated in the midst of three tranquil valleys, the city is flanked by snow-capped mountains, surrounded by traditional villages and abundance of fascinating archeological sites. Cabo, unfortunately, is often overrun with tourists. However, it is fortunate for their economy. 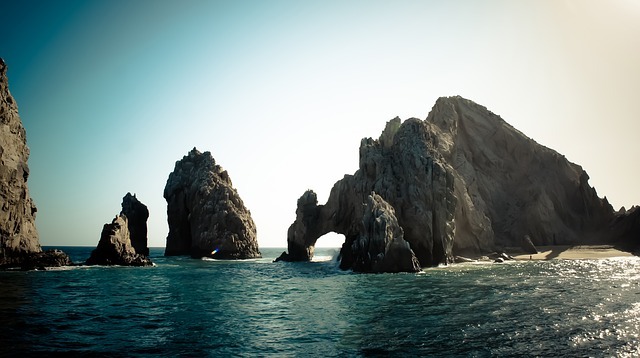 But as the home of the beautiful Cabo San Lucas Arch, it is pretty easy to understand why. This distinctive rock formation is situated at the very tip of Mexico's Baja California Peninsula. A staggering three stories tall, it was formed as a result of erosion. With truly sublime views, it's the perfect spot for an adventurous swim or a bit of kayaking. This is hands down one of the most beautiful swimming spots in all of Mexico. A cenote is a kind of natural sinkhole created when limestone bedrock collapses, exposing groundwater underneath. Cenotes dot Mexico's Yucatan Peninsula and were often used by the Maya for ancient sacrificial offerings. Ik Kil is arguably the most impressive of them all, with the water situated a staggering 85 feet below ground level. You will find overgrown vines dangling into fresh, cool indigo water. 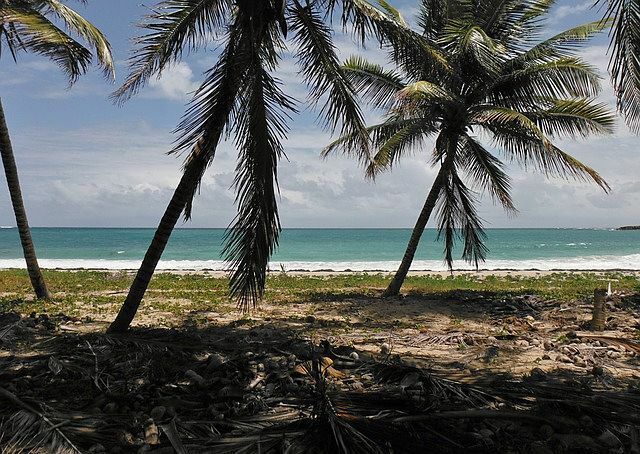 Wild, remote, and utterly breathtaking this is the perfect place to escape Mexico's beach crowds. Interestingly, this was the filming location for the famous movie Y Tu Mama Tambien. It's the perfect spot for a leisurely swim a great surf ride.